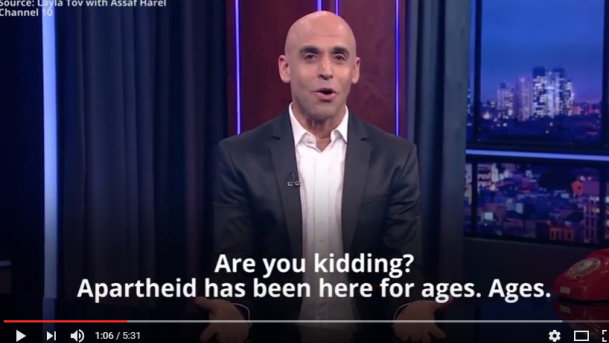 In last monologue, Israeli comedy show host delivers searing indictment of Israeli society. Wow, that’s a great video, thank you. I’ve seen Israelian people in the UK and Holland, growing silent and very embarrassed, when this topic was put on the table, next to the rhinoceros. After much witty, lively and intelligent chatter, for which they’re famous, suddenly a very different face shows up. It’s a deeply painful and shameful affair for many Jews, to live with neighbours who live in refugee camps and who are killed for throwing stones on Israel’s land.